5 x MORE CUTTING POWER! 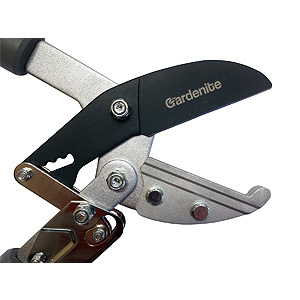 The ratcheting mechanism's settings multiply your hand's power by up to 5 times, so that you don't have to do the work - the pruning loppers do it for you. As you cut through a branch, the ratcheting mechanism clicks and moves to the next setting, providing ever-increasing pressure as you cut. 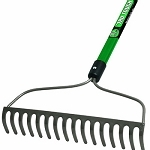 They slice through much thicker branches than conventional loppers, and they're very easy on your hands. 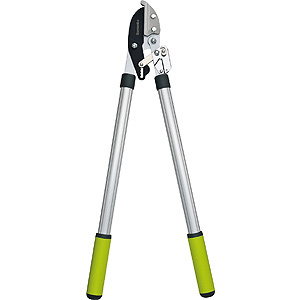 The extra power of the ratchet action makes these loppers ideal for heavy jobs. 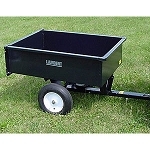 Anvil loppers have one sharp blade normally the top blade and a flat, non-cutting blade, or "anvil" at the bottom. When you squeeze the handles, the sharp top cutting blade is brought down on the branch you're cutting, and the anvil holds that branch in place so that the cut can be completed. 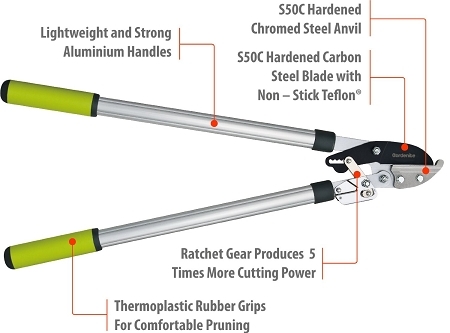 With "ratchet" anvil pruning loppers you can easily cut thick tree branches that regular loppers would stand no chance against! Lopping can tire the strongest hands, but if you are already starting out at a disadvantage with carpal tunnel or arthritis, or have smaller hands, you should definitely consider a ratchet lopper.